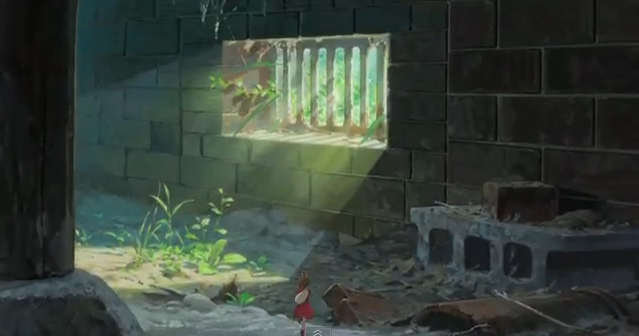 A new film from Studio Ghibli – preferably one in which director Hayao Miyazaki has a hand in (he did not direct Arietty but wrote the screenplay) – is always an event of significance for me. 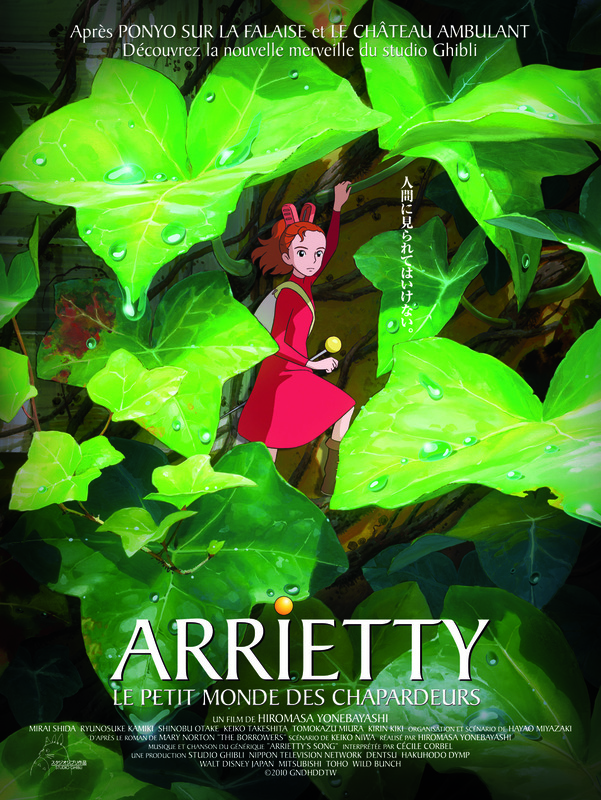 Thanks to the Embassy of Japan and the Arc Cinema, the inhabitants of the Bush Capital were able to catch Arietty at the 2011 Japanese Film Festival, ahead of it 2012 commercial Australian release. 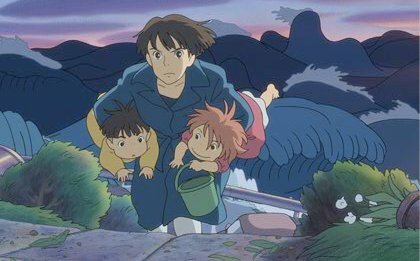 On a rainy Sunday afternoon, I popped along to the sold out screening, gleeful at the prospect of losing myself in another of Miyazaki’s lovely, whimsical tales. Based loosely on Mary Norton’s The Borrowers, Arietty is the story of a family of ‘little people’ who get by in this world by keeping out of the sight of ‘human beans’ and ‘borrowing’ things misplaced or lost by humans. The eponymous heroine is a fourteen year old ‘borrower’ who lives with her parents in the foundations of a large, rambling Edwardian house. Things come unstuck when Sho, a sickly boy who comes to stay in the house, sees her and, in a great movie tradition, an unlikely friendship begins. 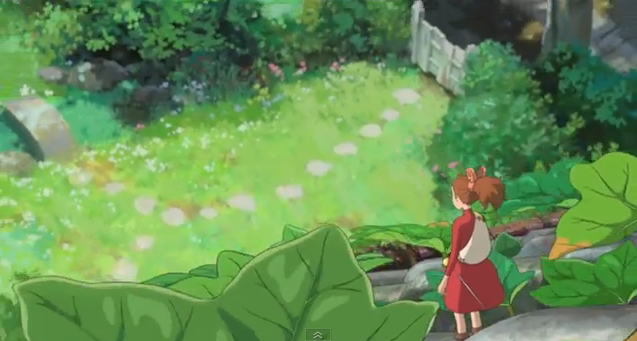 I adore Miyazaki’s films for his plucky, pacifist heroines (and heroes). 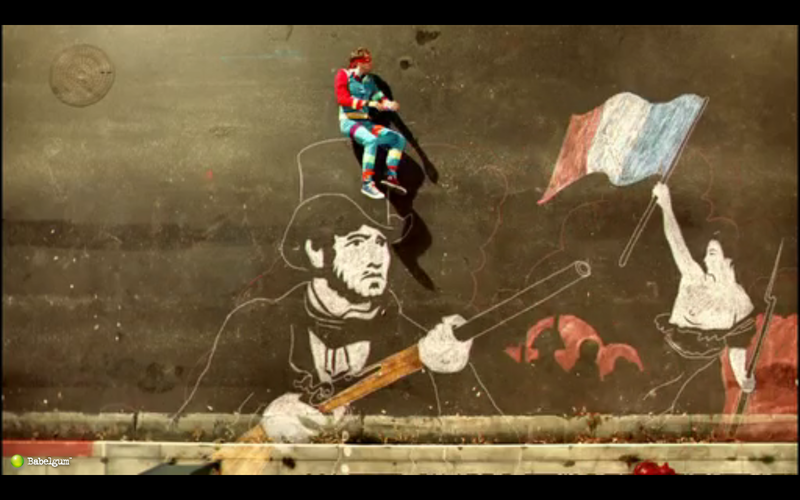 I love his subtle portrayal of the grander emotions such as duty, honour, guilt, sadness, love and the more pedestrian ones such as boredom and frustration. 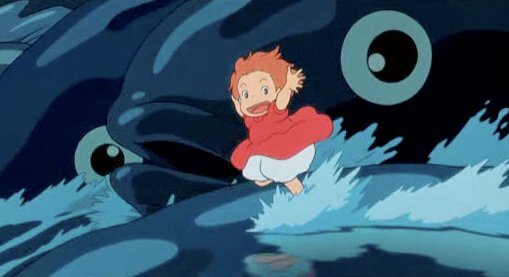 Miyazaki favours characters which are grey, rather black or white, and is particularly adept in showing their spiritual and emotional development . Though his characters may negotiate war, natural disasters and people out to do them (and their friends and families) harm, they are not merely people of action. 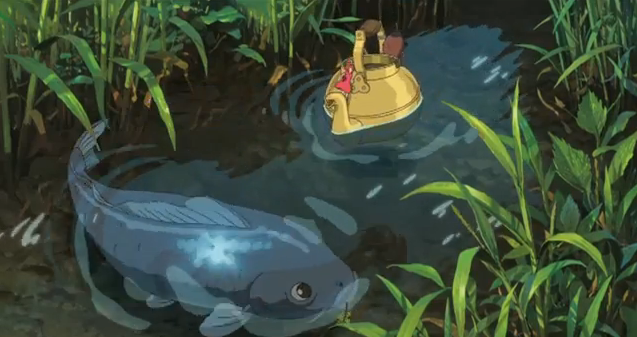 Miyazaki seems to delight in showing moments where the characters take time out to simply enjoy a quiet moment, or to reflect on things. Arietty ticks all these boxes. If I do have a complaint, it is that this movie touches on grander themes such as environmental destruction and extinction of species, but doesn’t explore these issues any further. 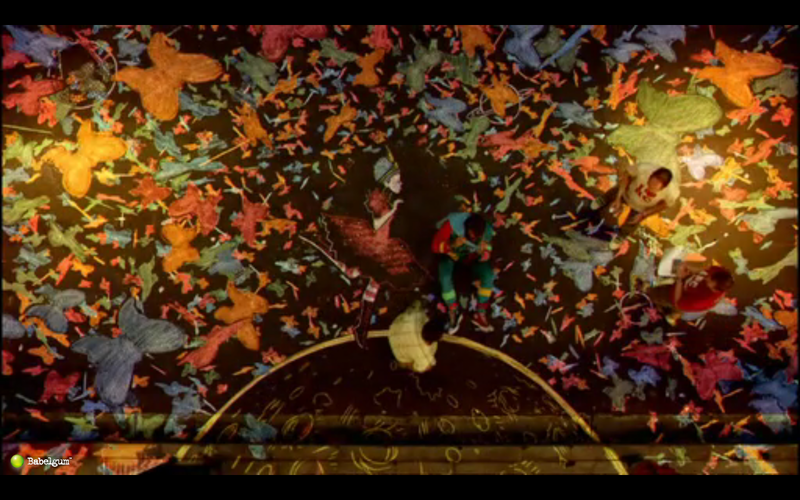 The film also feels like the first of a series, rather than a complete, self-contained story. 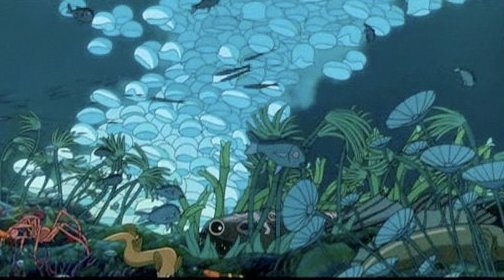 As such, Arietty doesn’t have the grand sweeping scale of Nausicaa and the Valley of the Wind or Princess Mononoke but it’s always a pleasure to disappear for an afternoon into one of Miyazaki’s worlds. 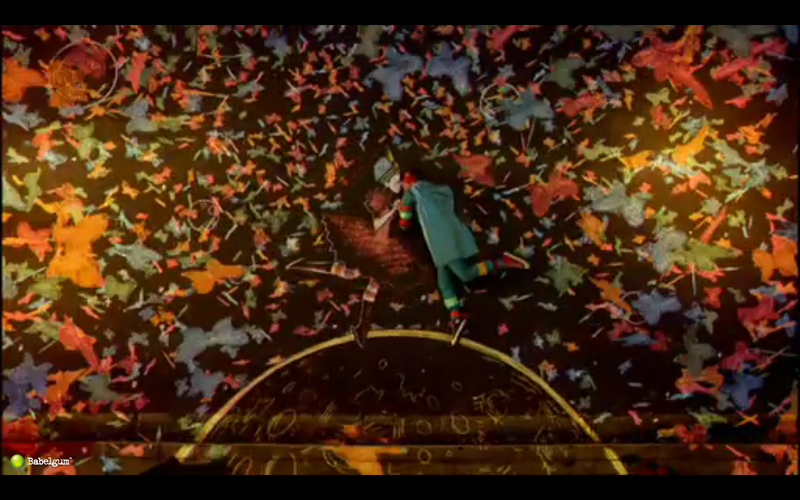 Oh, and the hand-drawn backgrounds are always beautiful. Like two buses arriving after a long absence, I’ve been inundated with fabulous new ear-bud titillating tunes. Currently getting a hella lotta rotation on my turntable iTunes are The Middle East, from Townsville, Queensland. It’s all ethereal, folksy, pastoral-tinged, nautical-referencing ditties replete with liberal lashings of Sigur Rós, Fleet Foxes, Beirut, Grizzly Bear and Mercury Rev. 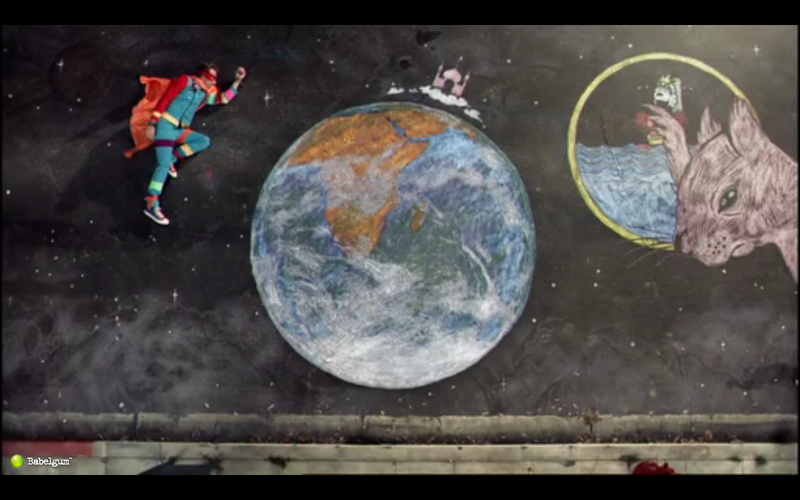 The music video for their track ‘Blood’ is a real animated treat. 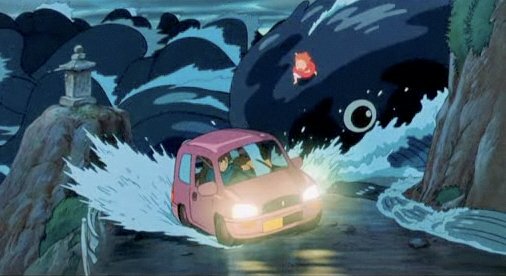 I recently popped along (on cheapie Tuesday) to see Ponyo, the newest offering from one of my favourite directors, Hayao Miyazaki. 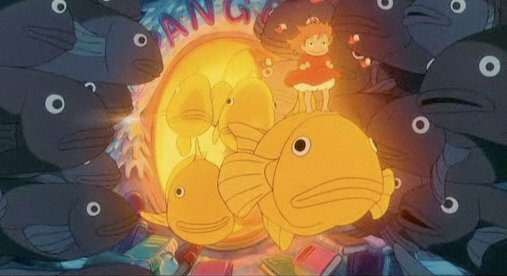 A version of Hans Christian Andersen’s The Little Mermaid, Ponyo is the name of a goldfish who befriends Sosuke, a five year old human boy. 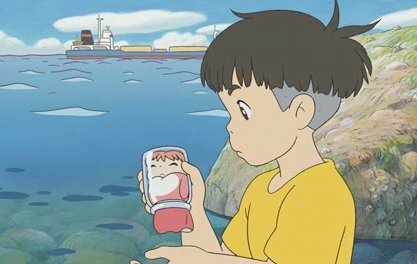 She forms an attachment to Sosuke and yearns to leave her home, the ocean, and become a little human girl, against the wishes of Fujimoto, her sea sorceror father. 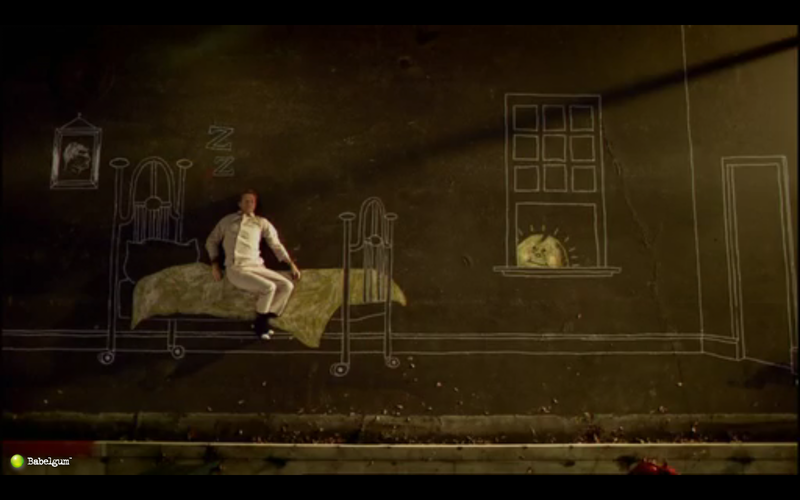 So far, so fairytale. 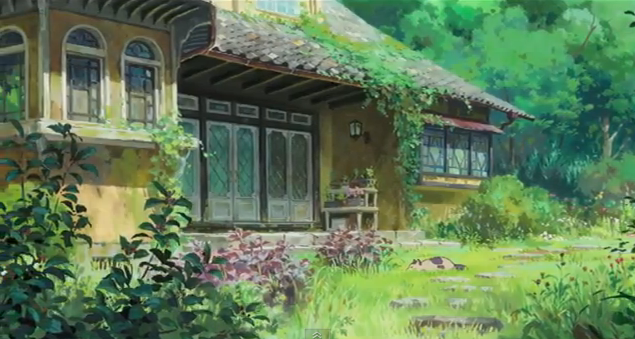 But a Miyazaki film has never taken the traditional route, in plot or execution. 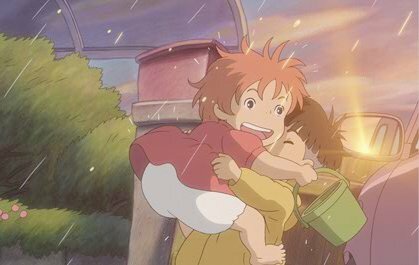 Ponyo’s wish upsets the balance of nature and causes a tsunami and she and Sosuke must set out, without adult help, to make this wrong right. 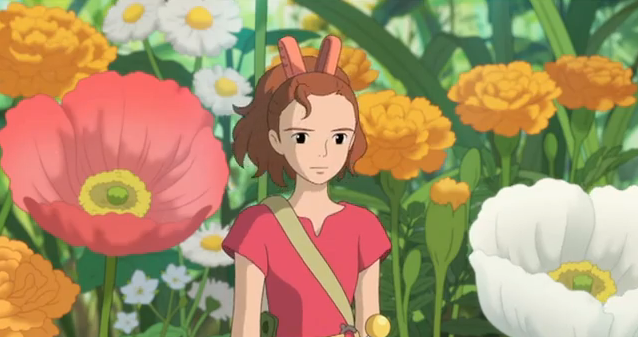 The film features the usual Miyazaki elements – a young, feisty, independent-minded heroine; strong, older female characters, a good dose of magic and even greater lashings of whimsy. 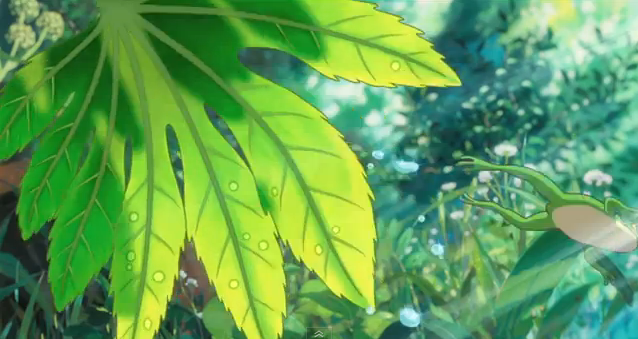 And his films, magical though they may be, are more often than not about growing up and accepting responsibility, as well as subtle (and not so subtle, in the case of Princess Mononoke and Nausicaa of the Valley of the Wind) statements about the damage which humankind is wreaking on the environment. But his films are never gauche or sentimental. 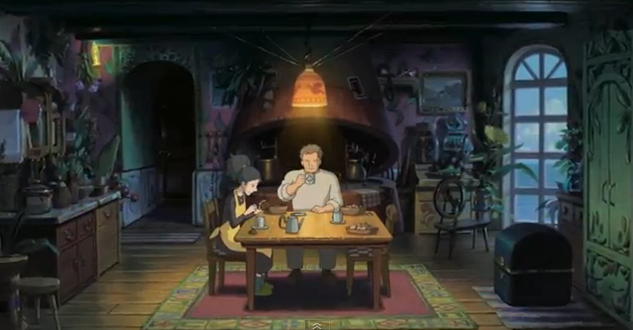 Rather Miyazaki’s strength lies in his skill in creating quiet moments – when his characters cook up a meal and sit down to eat, or have an out-of-sorts blue day, or experience the pain of a having to make difficult choice – without veering into Disney-like schmaltz. 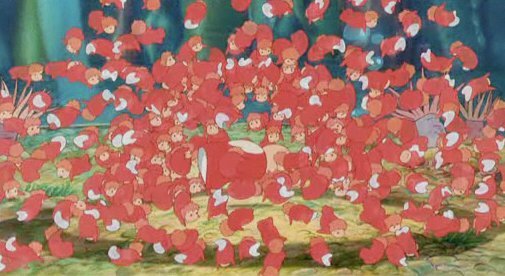 He is also an old school animator, preferring hand-drawings (he drew many of the 17,000 plus drawings for Ponyo) to CGI. Apparently he lambasted his son Goro, the director of Studio Ghibli’s last offering, Tales from Earthsea, for utilising too much CGI. 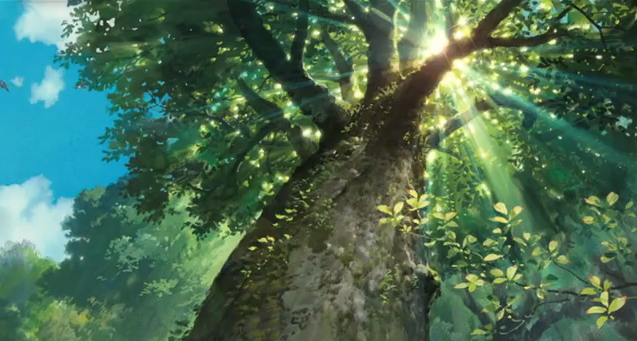 Handdrawn animation might sound quaint and even a little yawnsome, but when it’s Miyazaki at the helm, you know you’re going to be in for a visual treat. 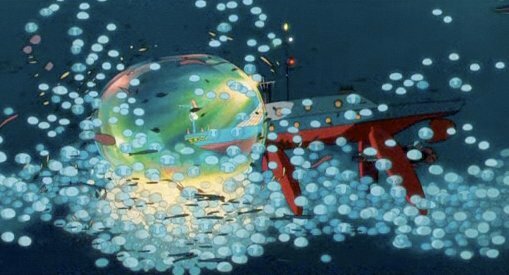 Miyazaki’s rendering of the underwater realm (which in this film substitutes for the sky and allows the director to indulge in his passion for animating flight, or swim, in this case) and its inhabitants, including dolourous fish, lugubrious octopii and bulbous jellyfish, is magical. It’s a lovely film, aimed for the younger age bracket rather than some of his other offerings like Spirited Away or Howl’s Moving Castle. 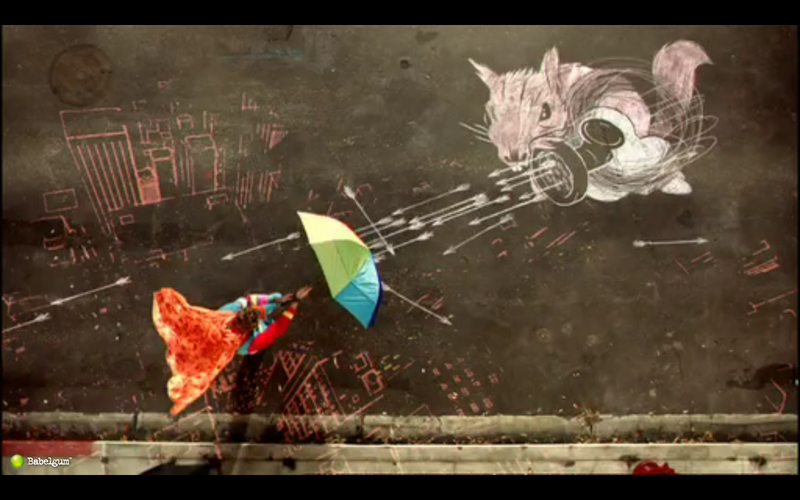 But it’s still a wonderful, engaging watch for big kids of all ages. 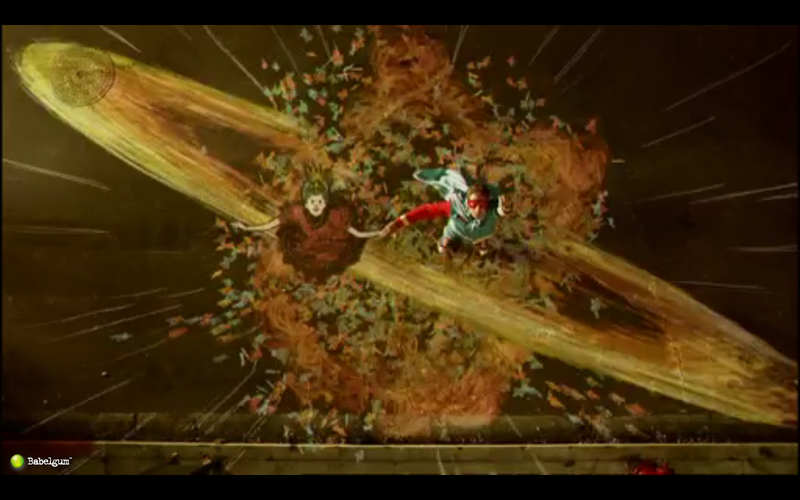 A few stills from the movie below, taken from the official Australian site. 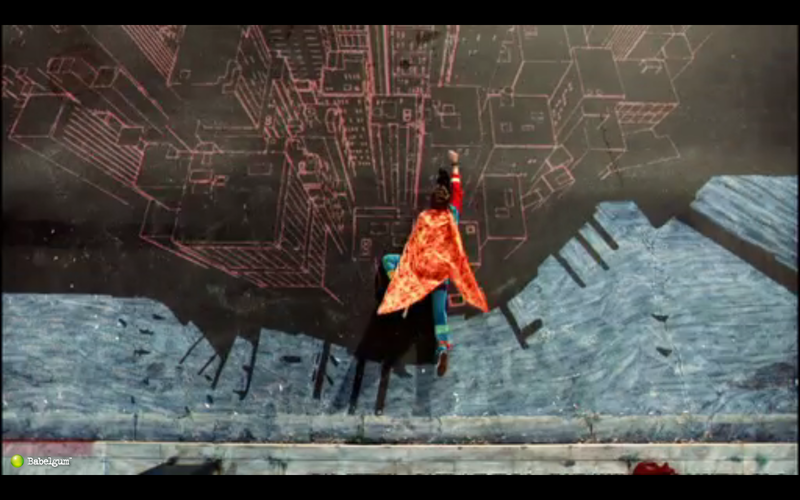 It’s not often that a music video comes along these days which makes you shout, ‘jumping jehosaphat, how’d they do that? 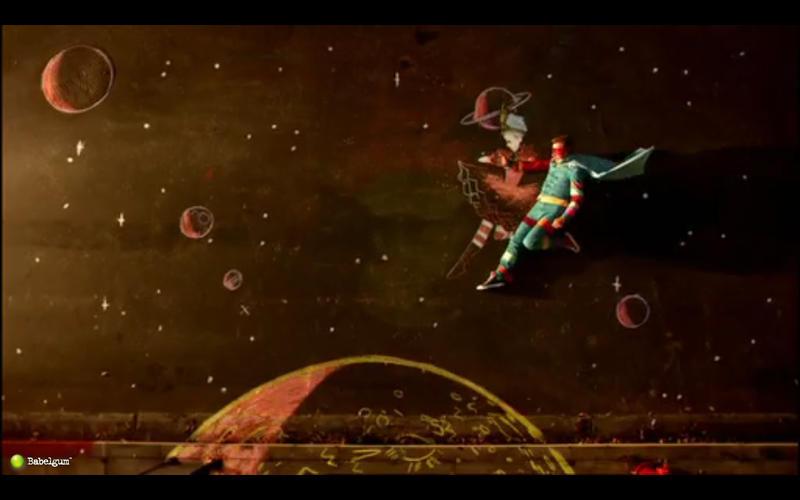 !’ London animation outfit Shynola have made such a video with the cinema-release-only music video for Coldplay’s ‘Strawberry Swing’. 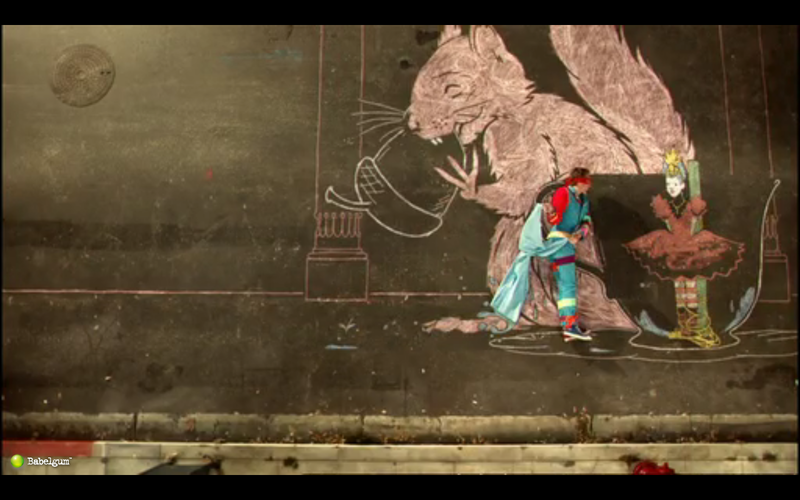 Shynola animated meticulously hand-drawn chalk drawings on the floor around the real life Chris Martin, as he quests to save a (chalk) damsel from the attentions of a villainous squirrel. 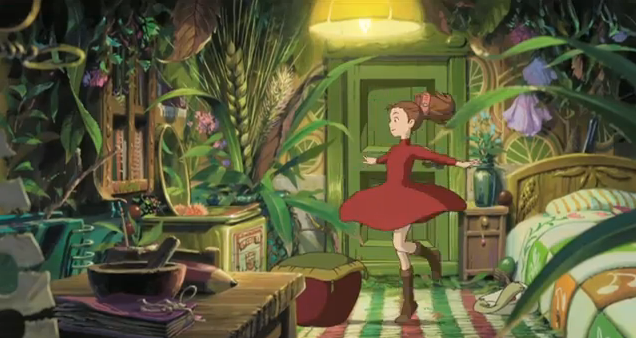 The whimsical, dream-like animation certainly possesses the traditional, pastoral, slightly dark charm of classic nursery rhymes or children’s stories, in keeping with the wistful, joyous tone of ‘Strawberry Swing’. 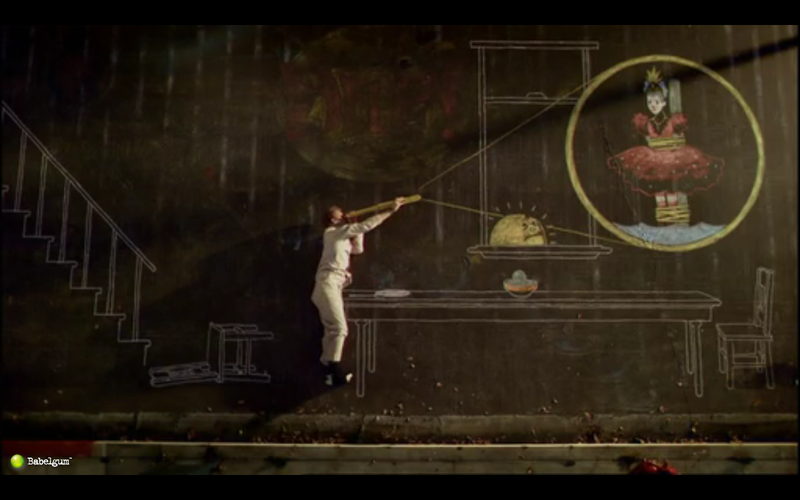 And a few of my favourite stills, taken from the HD version of the video at babelgum. Super Chris meets his arch nemesis, Evil Squirrel. Super Chris and the Evil Squirrel do battle. The Shynola team and Chris wrap up.